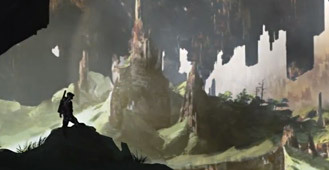 Halo Waypoint and 343 Industries has an early look at some of the concept art from Halo 4. This video debuted at the end of the Halo 4 panel at Halo Fest during PAX 2011. This video is a cool little thing our video and audio team threw together to give you a glimpse into some of Halo 4’s concept art, atmosphere and aesthetic ideas. Although you shouldn’t get too attached to any of the specific ideas or scenarios in here, it does represent some of our early, current and ongoing artistic effort.